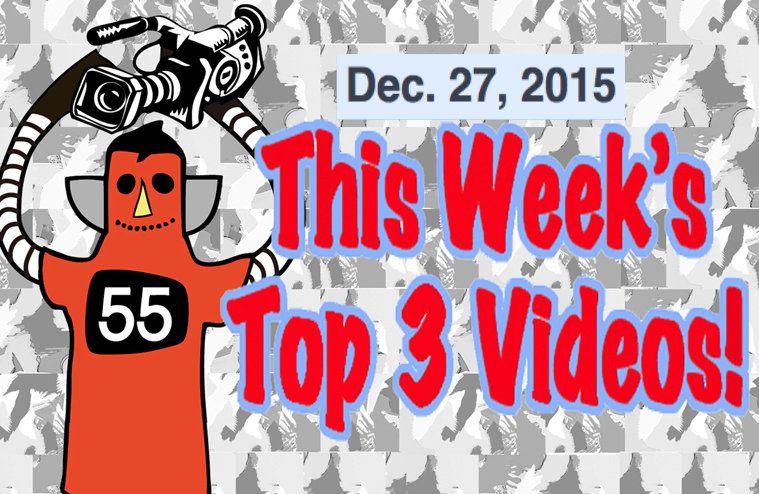 Top 3 Videos for Dec. 27, 2015! John No Arms, Sunflower Bean, St. Tropez, The Neatbeats! Time once again for the Top 3 Video Countdown! The Top 3 Indies Artists videos for Dec. 26, 2015. But first, here’s a word from our sponsor (us): If you like this countdown every week, please come “Like” our Robot55 Facebook page (or friend us on Twitter or subscribe to our Youtube page). Thanks! SPOTLIGHT ARTIST! The Neatbeats! 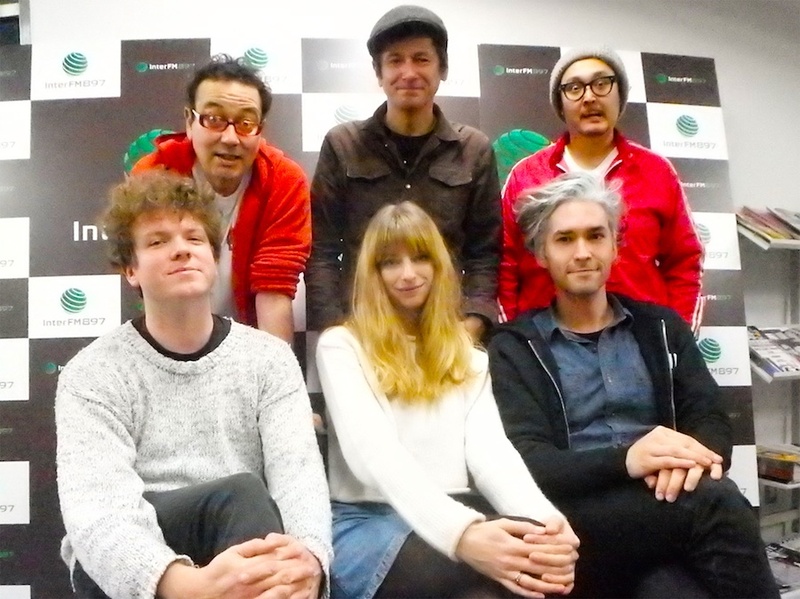 The Neatbeats are one of, if not thee, best rock and roll bands in Japan! They are called the “Japanese Beatles” in some circles and douchebags think that is simply a cover for a copy band, but no way with these guys. The Netabeats are what the Betales would have been if they didn’t become hippies and drop too much acid. 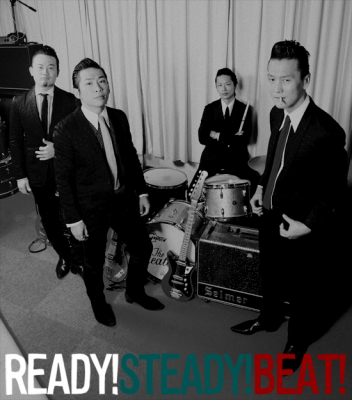 The Neatbeats – Japan’s Best Rock and Roll Band? Cool and Strange Music Countdown – Dec. 29, 2015 – Eddie Murphy, Messer Chups, Vladimir Putin! 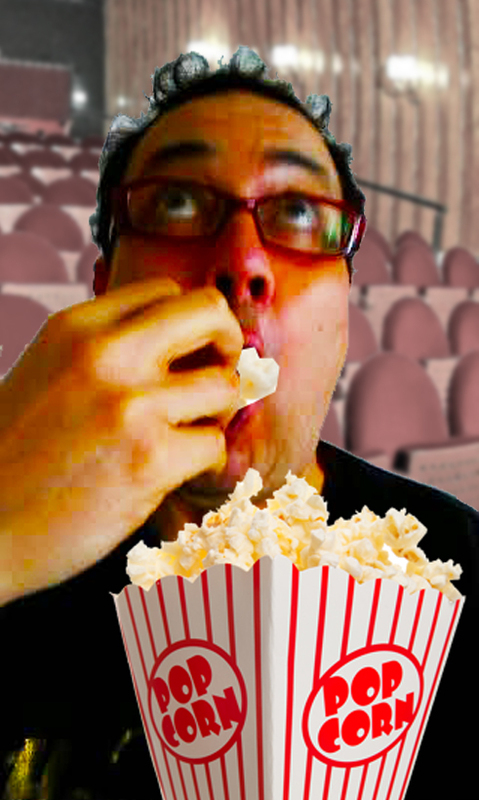 Today’s first video is a sidesplitting number done by American comedian Eddie Murphy. This was a skit of Saturday Night Live whereby he parodies James Brown – and does a hilarious job of it too! It’s James Brown’s Celebrity Hot Tub Party! And now, here he is – the Godfather of Soul, and hot tub man number one – Jaaaaaaaaaaames Brown! On last week’s Cool & Strange Music Countdown, we got rave reviews for the hilarious video about Vladimir Putin! Thanks! But fear not comrades! This week we have another mind-bender about our favorite hero! This is pretty funny and some people might think I like bashing Putin so watch out for the surprise ending! We’re back to the “Cool & Strange Music Countdown.” Welcome one and all! If you like this countdown every week, please come “Like” our Robot55 Facebook page (or friend us on Twitter or subscribe to our Youtube page). Thanks! Today’s countdown has a decidedly Rock and Roll edge to it. First up is an animation that is completely made up from still photos. This might be the best adaptation yet to Electric Six’s “Gay Bar” from 2003. In the Electric Six original, Abraham Lincoln was the hero of the video, but in today’s, Bennie Melwin has updated us quite a bit and uses Vladamir Putin! The creepiness, as well as the quality of the animation, just make it perfect. Next up is a fab band from Cambodia of all places. This band has several really good videos but I picked this one today because of all the foreigners in it. 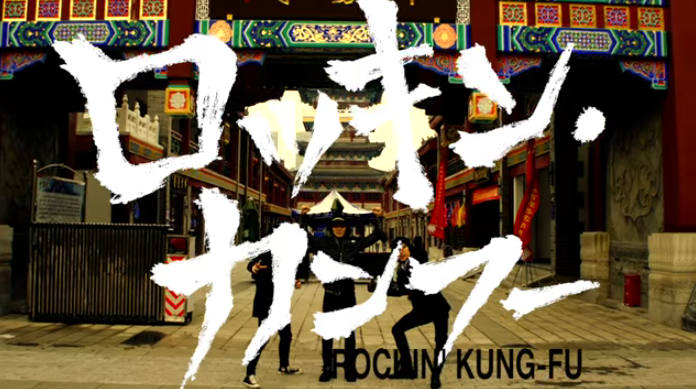 It reminds me (and inspires me) of all the great foreign bands we have in Japan. Srey Thy, lead singer of The Cambodian Space Project, was recently appointed as a Good Will Ambassador for UNiTE, a campaign to stop violence against women worldwide. Finally, just in time for Star Wars is a band from Los Angeles that has been making waves and been getting airplay on the world-famous KROQ! The band is called “The Rebel Scumbags” and they describe themselves as a “Geek n Roll” band.This song is hot and funny! Just released on December 14, so it’s hot off the presses! Thanks once again to Kona Cindy for the hot tip! 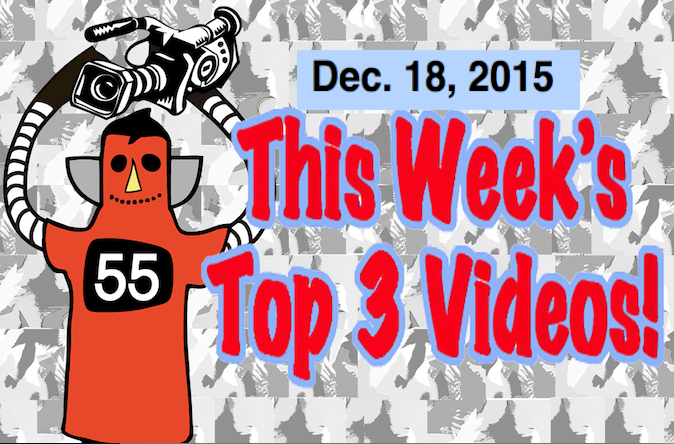 Top 3 Videos for Dec. 18, 2015! Clara Belle and the Creeps, Ringo Deathstarr, Punk Lung, The 50 Kaitenz! Time once again for the Top 3 Video Countdown! My favorite new Top 3 Indies artist’s discoveries for the week of Dec. 18, 2015. At #3 is a new artist from Florence, Alabama. The group has six members that includes an accordion and glockenspiel and they make quite a delightful and interesting sound. Their Facebook page says, “We’re creepy…but in a good way.” Check it out. This is hot! At #2 is Ringo Deathstarr. 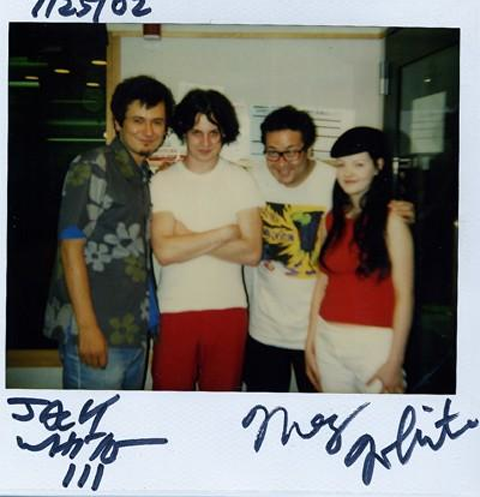 They appeared on my radio show last week! Thanks! 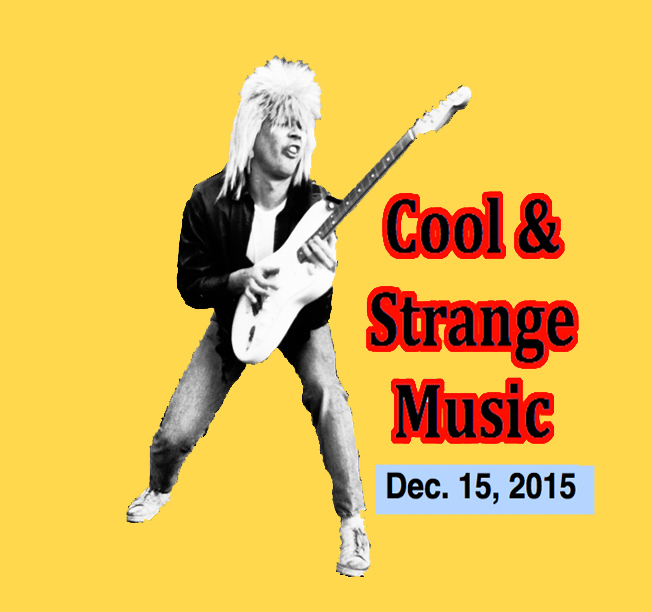 Cool and Strange Music Countdown – Dec. 15, 2015 – Hexstatic, Stan Freberg, Mary Schneider, The Fancs Brothers! Welcome friends! It’s time once again for the Cool & Strange Music Countdown! Today, first up is a song that is definitely on the “Cool” category. It is Hexstatic. Hexstatic is an English electronic music duo that formed in 1997, that consists of Stuart Warren Hill and Robin Brunson. Hexstatic specializes in creating “quirky audio visual electro.” This is MOST definitely quirky. I think this is brilliant art! We will have more from these two in coming episodes! Next up is a “Cool and Strange Music” classic. It’s by a guy named Stan Freberg. Stan Freberg passed away earlier this year on April 7, 2015. Stan was an American author, recording artist, animation voice actor, comedian, radio personality, puppeteer and advertising creative director, whose career began in 1944. He remained active in the industry into his late 80s, more than 70 years after entering it. Today’s pick is a Freberg classic. He had a knack for doing quirky and insanely funny TV commercials as well as music. In today’s pick up track, Stan Freberg does both voices of a couple in love who go through difficult times and tragedy as well as making up again…. All with ONLY Stan doing all the dialogue for both our lovers, John and Marsha, AND with only saying names only, he goes through and entire conversation of love, betrayal and reconciliation! The engineers who recorded this when Stan Freberg was in the studio must have either laughed hysterically or thought they were witnessing an insane man. It’s hilarious. Check it out. Listen carefully! Incredible!!!!! I’m gasping for air just listening to it. 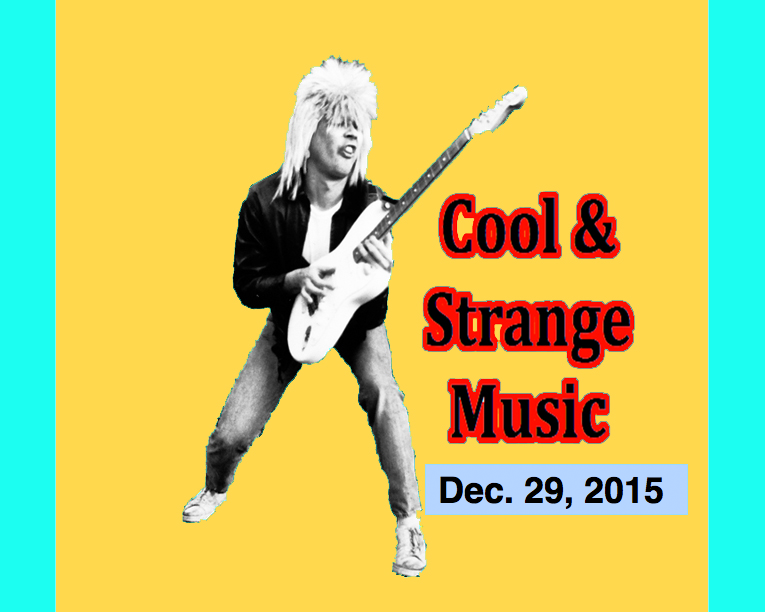 Today we have a freebie for Cool and Strange Music! It’s two guys known as the “Fancs Brothers.” This is an incredible story. These two guys are NOT professional musicians but they work at an internet company! They just decided one day, “Hey! 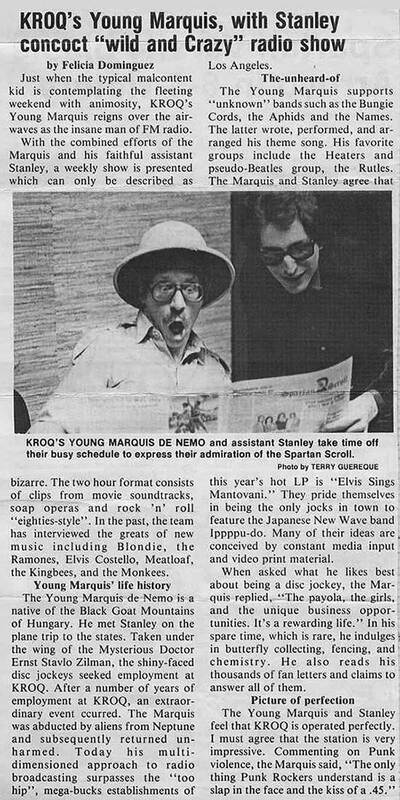 Let’s make some songs!” and so they did. This video production is by us at Robot55 (Ken Nishikawa did the work… I was snoring on the sofa in the studio!) It blows my mind that two guys, who aren’t musicians, can make such a great (and amusing song)…. Just goes to show how far “just having fun” really can take an artist or a band, no? If you love Shibuya in Tokyo, you will love this! ファンコミュニケーションズの柳澤さん＆松本さん（ザ　ファンクブラザーズ）の新しいミュージックビデオです！制作はROBOT55のKenとMike(ほとんどKenが働きMikeはソファで昼寝してたけど）ヒット間違いなしの良い曲です！是非みてください。The latest music video from the F@NCS Brothers. Production by Robot55 (Ken & Mike – Mike slept on the sofa – Ken edited) This is a funny parody of 1970s Japanese Folk Music! 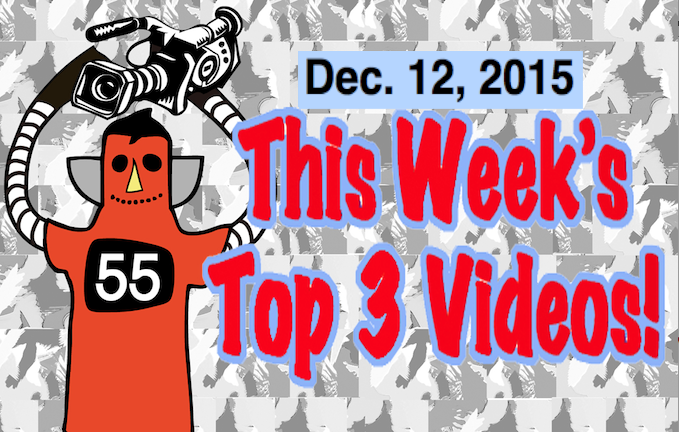 Top 3 Videos for Dec. 12, 2015! Messer Chups, Lazyeye, Ringo Deathstarr and Su Ko D Koi! Time once again for the Top 3 Video Countdown! The Top 3 Indies Artists videos for Dec. 12, 2015. This is a classic of theirs from their former album. Both albums are fantastic! 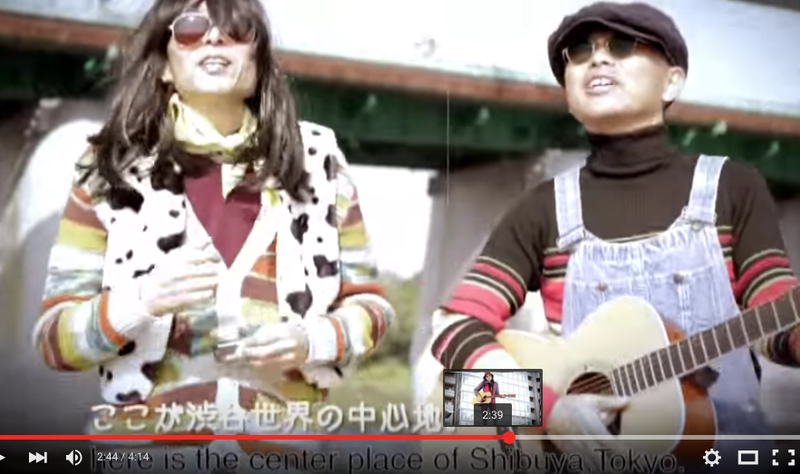 This is a video Ken Nishikawa and I made. Scroll down below the video to see the English lyrics! But it doesn’t matter if you don’t understand the lyrics! These girls are awesome!